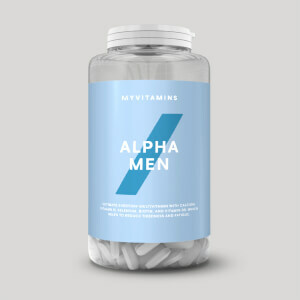 Our Multivitamin is a comprehensive and convenient everyday vitamin tablet, developed specifically for women's unique nutritional needs. It's a great way to boost your vitamin and mineral intake and complements your normal diet. 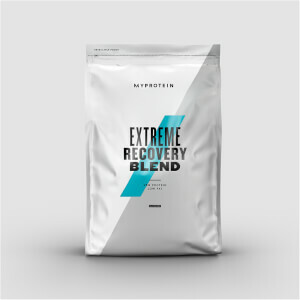 Whatever your fitness goals, this blend is ideal to help you stay on top of your game and keep mentally sharp1 during a busy lifestyle. We’ve also added the digestive enzymes amylase and lipase, as well as super-popular plant extracts to help you feel invigorated and full of energy7 — important whatever your fitness ambitions. 1. Pantothenic acid contributes to the reduction of tiredness and fatigue as well as normal mental performance. 2. Thiamine contributes to the normal function of the heart. 4. Calcium is needed for the maintenance of normal bones. 5. Vitamin D: contributes to the normal function of the immune system. 6. Biotin contributes to normal energy-yielding metabolism. 7. Korean Ginseng helps to maintain optimal stamina, feelings of energy and vitality, physical and mental well-being. We recommend taking 1 tablet in the morning and 1 tablet in the evening, preferably with food to get the maximum benefits. What does the Multivitamin work well with? 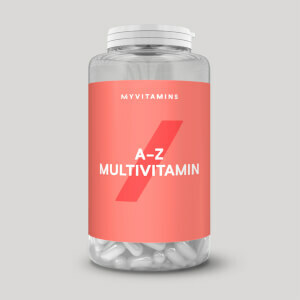 A convenient source of all your daily essentials, our Multivitamin is perfect for a busy lifestyle. To make sure you’re getting the protein you need, start your day with a Diet Protein Blend shake. Di Calcium Phosphate, Bulking Agent (Microcrystalline Cellulose), Calcium Carbonate, Calcium Ascorbate, D-Alpha Tocopheryl Acetate, Siberian Ginseng Extract, Choline Bitartrate, Coating (Cellulose), Calcium Pantothenate, L-Carnitine L-Tartrate, Potassium Chloride, Magnesium Oxide, Ferrous Fumarate BP, Anti Caking Agents (Magnesium Stearate, Silicon Dioxide, Stearic Acid), Glazing Agent (Shellac), Royal Jelly Extract, Alpha Lipoic Acid, Nicotinamide, Ginkgo Biloba (50:1), Citrus Bioflavonoids, L-Seleno Methionine, Zinc Oxide, Thiamin Hydrochloride, Pyridoxine Hydrochloride, Beta Carotene 20% Natural (Daucus carta), Manganese Gluconate, Riboflavin, Inositol, Lipase, Bromelain, Papain, Grape Seed (Vitis vinifera L) Extract, Sodium Tetraborate Decahydrate, Cupric Sulphate Anhydrous, Co Enzyme Q10, Amylase, Vitamin D, D-Biotin, Lutein, Methylcobalamin, Vitamin K (Acacia Gum, Sucrose), Chromium Chloride Hexahydrate, Folic Acid, Potassium Iodide. I wish I had took more notice at the nutrient percentages. Be very careful ladies! I think it is a good supplement in general, I did notice an increase in energy at the beginning. HOWEVER, please look at the B12 and Biotin quantities. Two tablets per day provide more than 20 000% of B12. I believe this and the amount of Biotin (and B5 is not included!) has caused me such terrible acne I have never had in my life! It took me 6 MONTHS OF TERRIBLE SKIN to figure out the problem... The worst experience and anxiety I had for such a long time was sorted out just by stopping taking these. I'm glad it's over! Here's a scientific article about how large quantities of B12 change the skin: https://www.ncbi.nlm.nih.gov/pubmed/26109103 As far as I understand it, the reason B12 can cause acne is that it causes changes to the normal bacteria that lives on everyone's skin. It makes acne causing microbes more active, and acne preventing ones less active. Basically it unbalances the healthy bacteria (it changes their gene expression) on your skin, and they start causing inflammation, resulting in acne. One of the roles of vitamin b12 in the body is making DNA, and it is used for the metabolism of every single cell in our bodies. This is why it has the ability to change the gene expression and metabolism of the bacteria on your face. I can’t tell that they are amazing but for the price they are very good. They have great ingredients and I think that they may be helpful but I am not a 100% sure that they are effective. I bought these vitamins as my dentist had told me to try some all round vitamins to help with some issues I've been having - for the first week I felt really awake and positive! Probably just a placebo effect though as now the only thing I'm noticing is neon yellow pee :P (I've halved the dose to try and reduce this though). I think my skin is looking bit healthier though, maybe? I will keep using though! I've been taking this vitamin for nearly a year now, mainly just to ensure my sufficient vitamin intake. In the case of a vitamin, it's hard to tell if it "works" but what I can tell is that it's helped me through times of little sleep and not-so-great diet, still feeling well and balanced. Easy to swallow, no weird taste (or aftertaste) and contains a good mix of essential vitamins all in one tablet. Great value for the price! I've been using these vitamins for a little over a week now. I do think that I have more energy as a result of taking the vitamins twice a day. Although I normally eat a healthy diet, I have been restricting my calories lately to cut out some weight for summer. I feel like these vitamins help make up for any vitamins that I lack in my diet. My only issue is that there is a surplus of Riboflavin. Since the body can't absorb that much, you end up peeing the excess out. Which turns your pee neon yellow and is just a bit of a waste of money. Despite that, I do still recommend these and think I will incorporate them into my normal diet as well. Does exactly what is says on the tin! My partner has felt much better since having these! Well worth buying and very cheap considering. 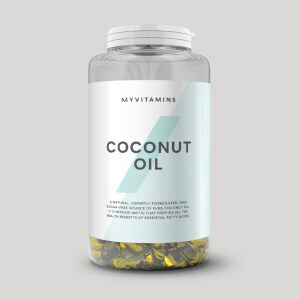 My partner found this website and ever since we have been absolute advocates of these natural vitamins. Neither of us got the dreadful virus this Christmas and although I cannot scientifically prove anything I do feel that taking a combination of natural ingredients as well as a good diet does strengthen the immune system. There are always discounts and you can use Quidco for cash back. Always arrive on time and well packed cannot recommend this on line organisation enough.